n recent months OpeningupSlovenia managed to follow its strategy in providing funding for OER related projects, building partnerships and pushing the OER research agenda further into computer science and other national open education domains. On September 30th 2014 the UNESCO Chair on Open Technologies for Open Educational Resources and Open Learning was established in Slovenia. 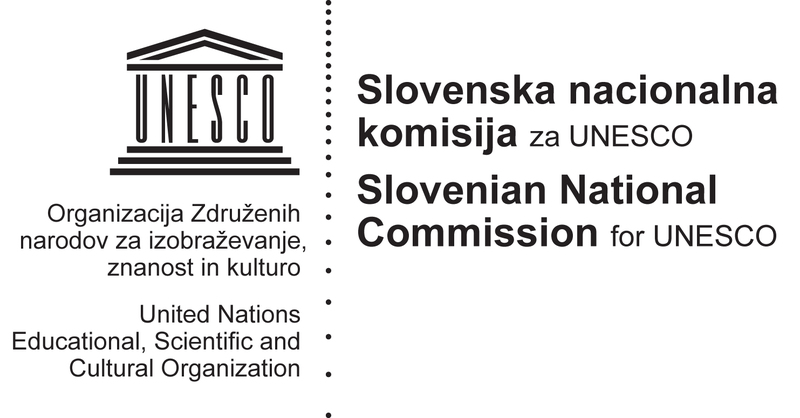 UNESCO Director-General, Irina Bokova, and the Director of the Jožef Stefan Institute, Professor Jadran Lenarčič, signed an agreement establishing a UNESCO Chair at the Institute in Ljubljana, Slovenia. The Institute being one of the leading powers behind OpeningupSlovenia. The signing ceremony took place at UNESCO Headquarters in Paris, in the presence of the Chairholder, Mitja Jermol and the Permanent Delegate of the Republic of Slovenia to UNESCO, H. E. Ms Veronika Stabej. The Chair will serve to promote an integrated system of research, training, information and documentation on online learning for OER and open learning. It will facilitate collaboration between high-level, internationally-recognized researchers and teaching staff of the Institute and other institutions around the world. The signing coincided with the holding at Headquarters of a UNESCO Chair Workshop organized with the Jožef Stefan Institute, the Slovenian National Commission for UNESCO and the Permanent Delegation of the Republic of Slovenia to UNESCO. According to the new Chairholder, Mitja Jermol, the Institute has been working on OER since 2001, pushed by the conviction that education needed a new approach. “We started a national initiative to set the country in the direction of open learning, from infrastructure to legislation, in order to make use of technologies for learning.” commenting on OpeningupSlovenia. UNESCO Chair Workshop on Open Technologies for Open Educational Resources and Open Learning at UNESCO HQ In Paris. John Shawe Taylor and Fred Mulder @ UNESCO Chair Workshop on Open Technologies for Open Educational Resources and Open Learning at UNESCO HQ In Paris. UNESCO HQ In Paris — with Marko Grobelnik and Adrian M. Grobelnik at UNESCO HQ In Paris. With Marko Grobelnik and Mitja Jermol at UNESCO HQ In Paris. Meeting with the wisest of the UNECO Chairs Fred Mulder and Abel Cain, Programme Specialist Communication and Information Sector (CI) at UNESCO — with Mitja Jermol at UNESCO HQ In Paris. @ UNESCO Chair Workshop on Open Technologies for Open Educational Resources and Open Learning — with Gašper Hrastelj at UNESCO HQ In Paris. Event Registry (http://eventregistry.org/) getting presented at UNESCO — with Marko Grobelnik at UNESCO HQ In Paris. The contract between JSI and UNESCO — at UNESCO HQ In Paris. UNESCO HQ In Paris — with Mitja Jermol at UNESCO HQ In Paris. Signature of the contract by JSI Director, Professor Jadran Lenarčič and UNESCO Director-General, Ms Irina Bokova — at UNESCO HQ In Paris. Mitja Jermol, new Chair standing next to The Walking Man by Swiss sculptor Alberto Giacometti (1901-1966) UNESCO HQ In Paris — at UNESCO HQ In Paris. Signature of the contract by JSI Director, Professor Jadran Lenarčič and UNESCO Director-General, Ms Irina Bokova with Mitja Jermol new UNESCO Chair. — at UNESCO HQ In Paris. Slovenian delegation at UNESCO HQ In Paris — at UNESCO HQ In Paris. Slovenian delegation at UNESCO HQ In Paris — with Veronika Stabej, Mitja Jermol, Davor Orlic, Marjutka Hafner and Jadran Lenarcic at UNESCO HQ In Paris.